Grove at Grand Bay, with its twisting, dancing glass towers that allow for panoramic views of Biscayne Bay and the Miami skyline, is striking design by Bjarke Ingels, one of the world’s most exciting architects. The two buildings are low-density, with 98 spacious, custom homes featuring 12-foot-high, floor-to-ceiling glass and 12-foot-deep terraces. 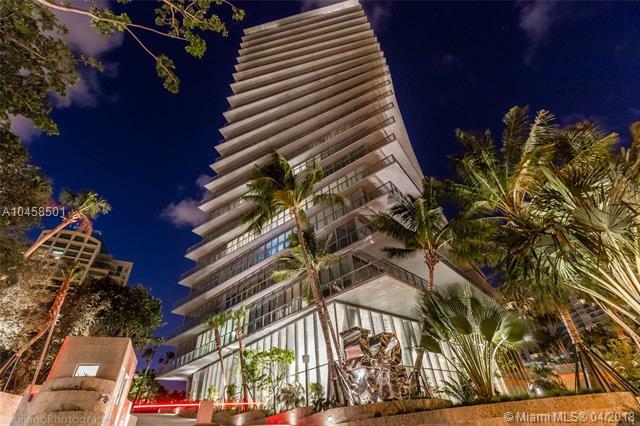 The living here is sustainable—the towers are the first LEED gold-certified buildings in Miami-Dade County. 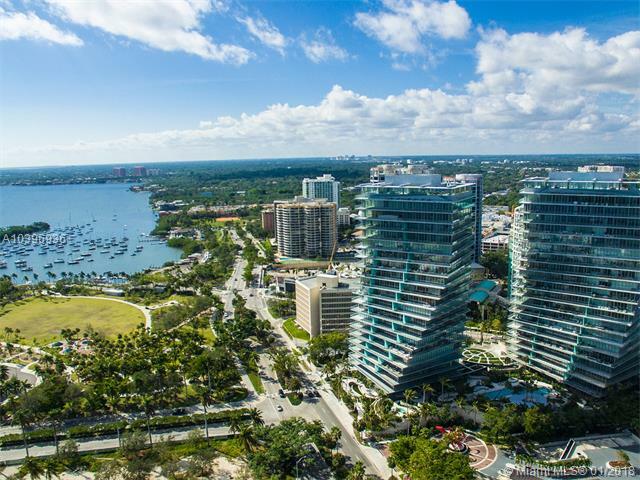 They are also the first buildings that twist in the U.S. And on the topic of firsts, these are the first new high-rise residential buildings in Coconut Grove in a decade. Beautiful? Absolutely. But it’s so much more. Ultimately, the architecture comes second. Just as form should follow function, your home should support your unique life. 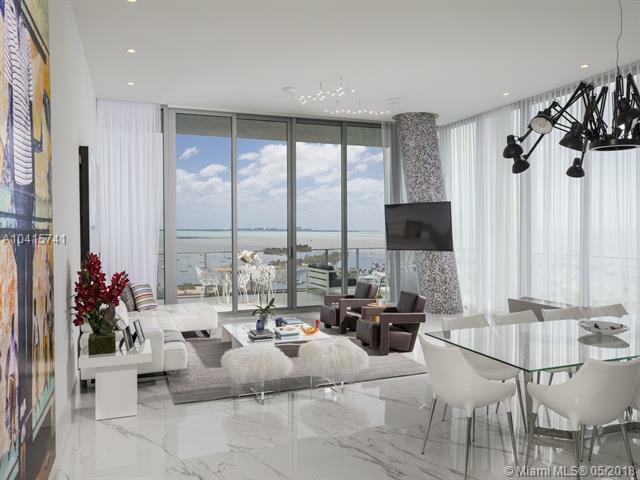 Grove at Grand Bay emphasizes livability—it’s design in the service of life. The North Tower will only have 58 units and the South Tower 37 units, which makes this condominium living rather unique as it still provides its residents a certain level of privacy. Residence Sizes: 1,200 - 11,000 Sq.Ft. A private elevator leads to each residence. The spacious, custom homes range in size from 2,500 Sq.Ft to 11,000 Sq.Ft. 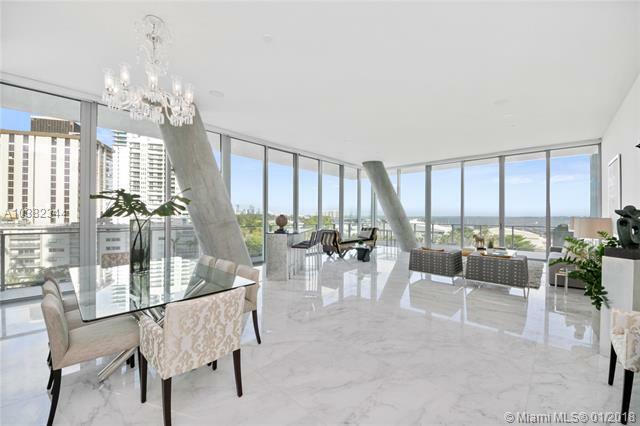 The homes are designed for true Florida-style, indoor-outdoor living with panoramic views of Biscayne Bay and the Miami skyline and 12 ft deep terraces that are equipped with summer kitchens. The living space—living room, dining area, kitchen, and family room—is typically organized as a large, open, rectangular space. In the kitchens you’ll find European-designed cabinetry and Miele appliances. The architect-designed bathrooms are stunning, with statuary marble flooring and walls, complemented with teak wood used for the bath surround, shower seat, and countertop for the sinks. Each unit has two attached parking spaces. Penthouses and Corner residences will each receive a 2 car air-conditioned garage. Swimming pool on the great lawn.